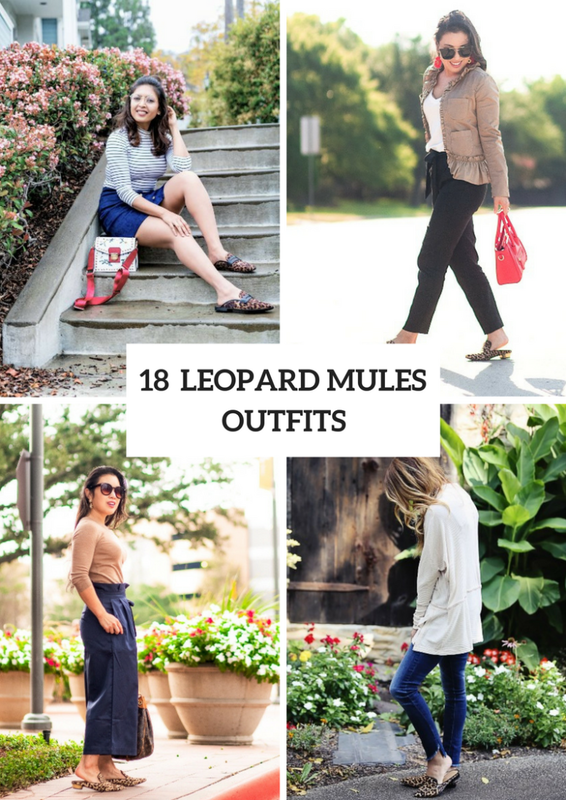 As you already know, mules are very comfy shoes, so if you don’t have them yet, then you should pick up perfect ones and buy as soon as possible. 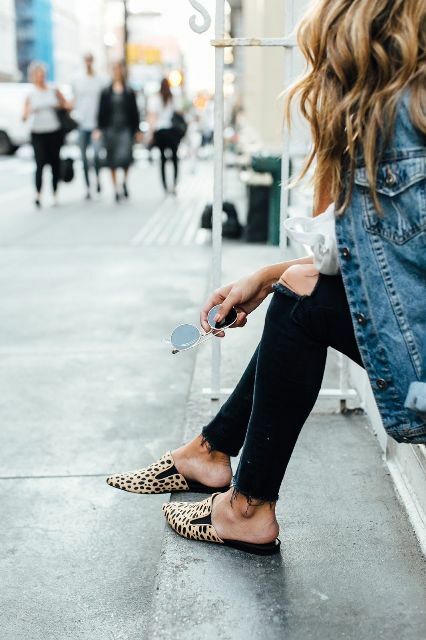 Today I offer you to pay an attention to printed mules such as leopard ones, cause they look fashionable and so eye-catching. You can add them to monophonic clothes or printed items, you can make a casual or party look with them, so don’t limit your creativity and start to make adorable outfits! For more inspiration just look below. Enjoy! 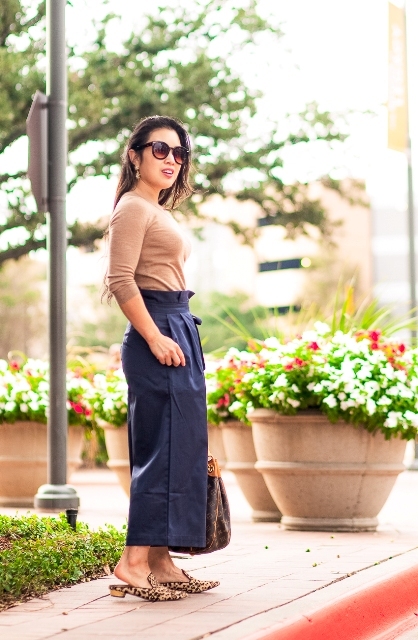 If you love culottes like we do, then you need to follow our advice. 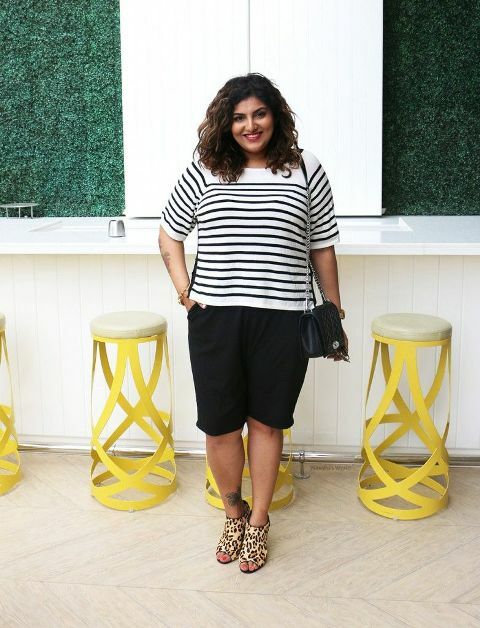 So you can take a white and black striped shirt and combine it with black culottes, a black leather chain strap bag and leopard heeled mules. Or you can pick up a beige shirt and mix it with navy blue high-waisted culottes, a printed tote, sunglasses and leopard mules. 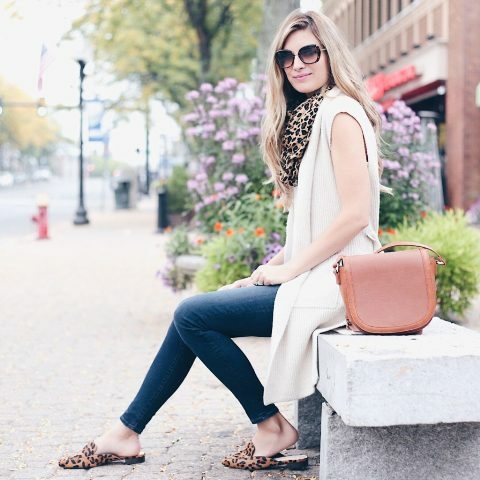 To create a casual outfit you can pair a red oversized sweater with distressed jeans, a brown leather tote and flat mules. 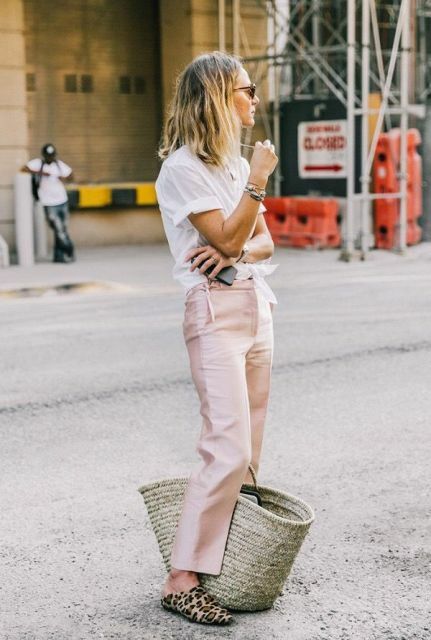 Or take a white t-shirt and combine it with pale pink straight trousers, oversized sunglasses, a big straw tote and leopard shoes. 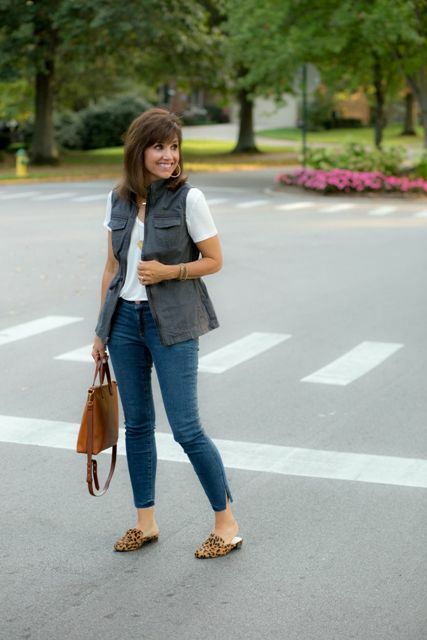 It’s very easy to create a casual but feminine look with such mules. 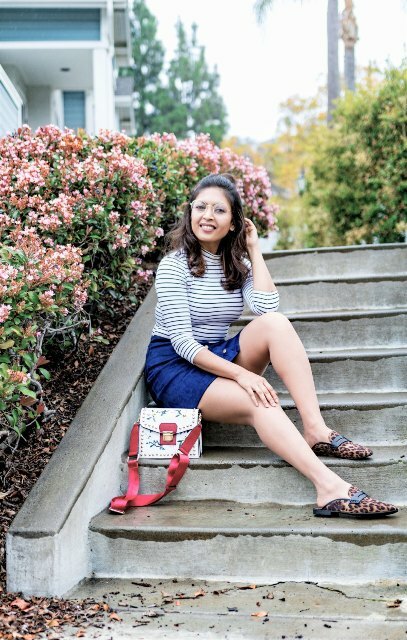 For example, you can take a white and navy blue striped button down shirt and combine it with a navy blue scarf, a brown suede mini skirt and leopard low heeled mules. Or you can mix an olive green A-line knee-length dress with a brown leather bag and leopard shoes with black bows. For making an event outfit you can pair a lilac maxi dress with a yellow long vest (or a sleeveless coat), a printed clutch and printed mules.